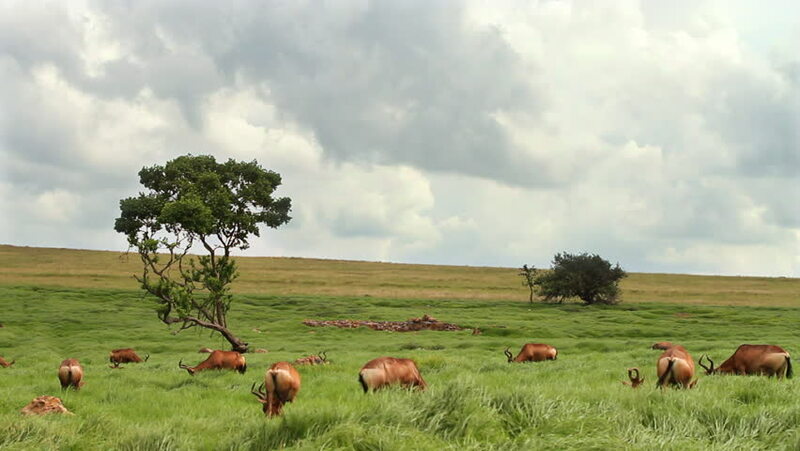 Many African Antelope grazing on the plains just before a summer thunderstorm. These antelope or buck, are Red Hartebeest (Alcelaphus buselaphus) which are also known as Rooi Hartebees in Afrikaans. hd00:20Video zoom in of Whitetail deer in an open field near a south Texas lake. Male buck and female doe. Marsh and grass.